Andrew John Wakiumu - Educated at the Yale School of Management with a Masters Degree in Public and Private Management (concentration in Finance and Investment) and at Lafayette College with Bachelors Degrees in Electrical Engineering and Economics & Business, John has worked for the last eight years at the Alliance for a Green Revolution in Africa (AGRA) based in Nairobi, Kenya. His main role at AGRA is to develop end-to-end solutions for African Governments which will transform the way agriculture is financed in Africa. This is mainly achieved by setting up and capitalizing Impact Investing Funds in African countries that will provide incentives to financial institutions and borrowers to de-risk and provide credit and other financial services to the agricultural sector. John was recently appointed as the Chairman of the Advisory Board of Reewire International ApS. Reewire operates as an ICT solutions provider in the rapidly growing digital finance sector and has developed a unique “OPEN MARKET” mobile financial services platform geared towards meeting the needs of presently unbanked populations in emerging markets in Africa, the Americas and Asia. The company headquarters are located in Copenhagen with the data center and IT technical services team based in Paris. Prior to joining AGRA, John worked in Investment Banking, Fund Management and Equity Research in the USA and Africa for 8 years. Countries of Work Experience: USA, Kenya, Uganda, Tanzania, Ethiopia, Mozambique, Malawi, Nigeria, Ghana, Liberia, Mali, Burkina Faso, Niger. 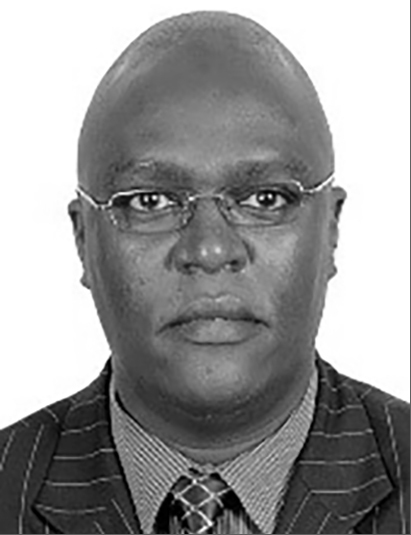 Andrew John Wakiumu joined CBA as Consulting Professional in Nairobi, Kenya in September 2017. Part of a team at Citibank that executed the $36 million Remittance-Backed Euroloan Line of Credit with Agricultural Development Bank in Ghana. Membership in Professional Associations: CFA Institute (Charlottesville, Virginia), Okanagan CFA Society (Kelowna, British Columbia, Canada), CFA Society of East Africa (Nairobi, Kenya), Institute of Certified Investment and Financial Analysts (Nairobi, Kenya).